Burnley’s season came to an end just over a week ago with a 2-1 home defeat against Bournemouth and again, as was the case a week earlier at Arsenal, Jeff Hendrick was voted our best player in the game. Hendrick returned to the side for these two games and certainly played well in both. He won both the man of the match vote and the player ratings for the Arsenal game and repeated that against Bournemouth. He won 27% of the man of the match vote with the top four all coming from the midfield. Jack Cork was second with 17% of the vote and he was followed by Ashley Westwood (16%) and Jόhann Berg Guðmundsson who won 14% of the vote. In the player ratings, three of those four were again in the top four. Hendrick had the highest rating of 7.30 out of 10, just ahead of goalkeeper Nick Pope whose rating was 7.27. Westwood, with a rating of 7.10, and Cork, who scored 7.07 out of 10, took third and fourth places respectively. Hendrick, therefore, won another ten points on the Up the Clarets Player of the Year table. There were four points for both Cork and Westwood, three for Pope and 1 point for Guðmundsson. 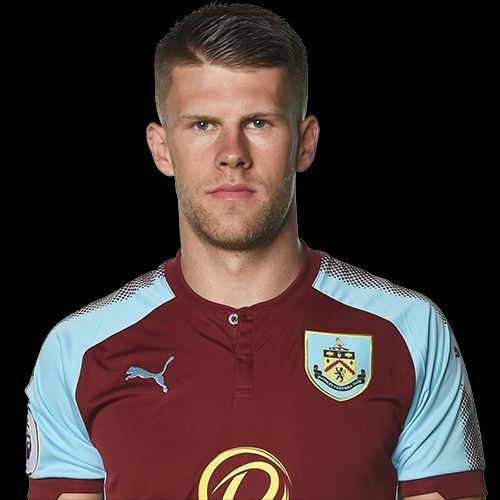 Guðmundsson had already been confirmed as our second player of the year, following on from Ben Mee last season. In the end he won it with 110 points, 16 points clear of Pope who finished second. Pope’s three points on the final day moved him into second place, one point ahead of Steven Defour and two points clear of Ben Mee. Cork and James Tarkowski were also within just a few points. The Bournemouth result, the May player of the year table and the final table for the Up the Clarets Player of the Year are all below.